The story in this film is very basic and easy to watch which is one of the things I love about this film as I can sit down and enjoy a nice straight to the point story without my brain getting hurt. I was also very mesmerized due to how fun this film was and I enjoyed it from the time the film started all the way to the closing credits as there isn't a dull moment to be found in this film whatsoever. 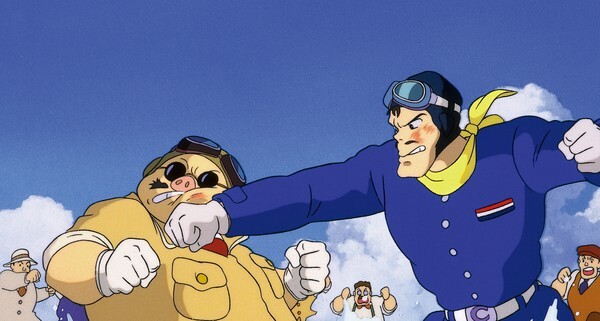 There's a very decent amount of action and boy is it good with a mixture of air battles between planes and a very excellent hand to hand combat scene towards the end of the film. The characters in this movie are very good and really charming and you can't help but to keep a huge smile on your face while watching them interact with each other. There actually isn't anything bad I can say about this film really without going out on a limb and be a real nitpicker. 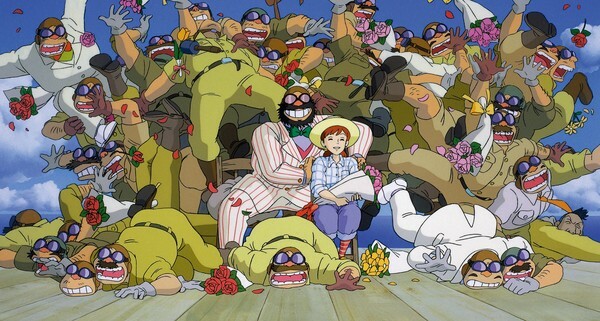 Artwork and animation in this film is absolutely brilliant and is full of charm, life, and a buck load of detailing. 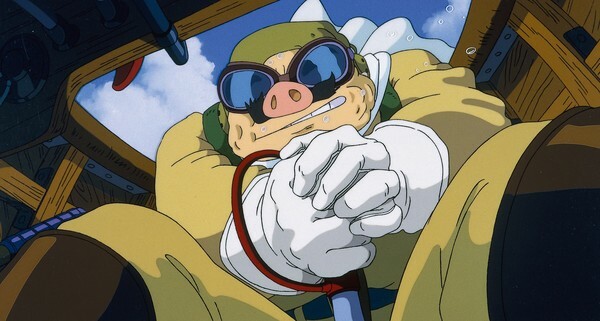 One good example on how well the art and animation blend together well is during the scene when Porco was testing out his new plane engine. 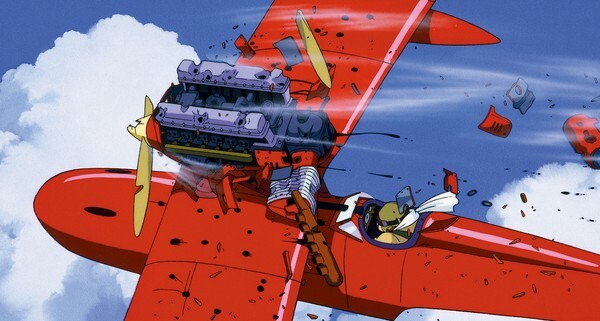 The way they drew in the force of the wind caused by the engine and how everything in the background was moving around in perfect response to the wind. Character designs are also really good and really unique that stand out and you get a very magical vibe from just by looking at them. The English dub is really good and I was surprised to see that they used some bigger starts for this film including Michael Keaton ("Batman (1989)" and "Jack Frost (1998)") and Brad Garrett ("Everybody Loves Raymond (1996 - 2005)" and "The Crazy Ones (2013)". The dub actually impressed me as they really worked well with the characters and now I can't see anybody but this cast voicing these characters. Soundtrack was very nice and worked with all the scenes very well and really added to the film's atmosphere. There is a short but sweet collection of special features. You have an interview with the producer "Toshi Suzuki" that originally aired on Japanese television back in 1992 and a feature called "Behind the Microphone" where we see interviews of the American voice cast. Both documentaries were very good with some neat little info about the film. You also get all the original Japanese theatrical trailers which were all very nice to watch. Lastly you have a special PIP (picture in picture) mode where you can see the storyboards on the bottom right corner of the screen while watching the film. The artwork was very nice and it gives you a very decent reason to re-watch the film. 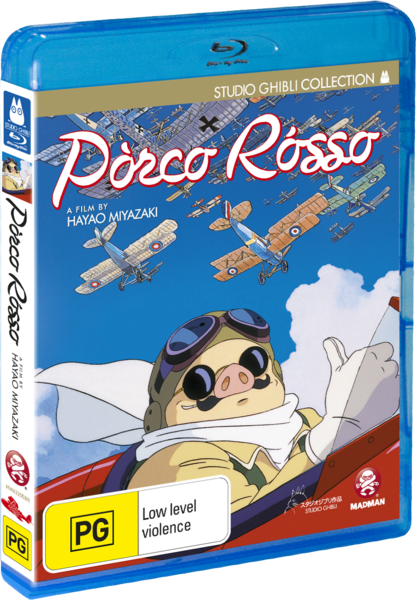 Overall this film is a classic and I recommend everybody who has yet to see it go out and watch it even if you're not a fan of anime. For those who have seen it should go out and watch it again as this film deserves multiple viewings. This film is safe for both kids and adults to watch and does make for a good film to show to the entire family. I'm not normally the one to go out and say "film x" or "series y" is a perfect film or show but this movie is pretty darn close to being a perfect film. This film is a must watch indeed.